Looking for a garage to fix your Power Steering in Nuneaton? 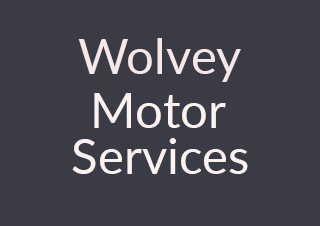 Save money: Instantly compare Power Steering Repairs prices in Nuneaton to find the best deal. Quick and easy: Simply enter the registration number of your car and your post code, compare prices, choose a local garage in Nuneaton and book your Power Steering Repairs. "Brilliant garage. Really helpful and friendly staff. Good value for money. No complaints whatsoever, will definitely use them again." "I was happy with the servicing done however, I would have been even more happy if the car was washed and polished in full servicing as well." "Have been using this garage for a few years, unfortunately customers service has become worse recently." "Extremely happy with level of customer care and engagement through out the process and happy with the results in less time than it takes to drink a cup of tea! Can’t wait to go back to get the recommended work done soon." "Always feel my car is in good hands and they provide a great all round service." "Very impressed Video set by Engineer informing me of their Inspection results and Advisory points. Car picked up and dropped off, excellent service. Only issue was Service Admin staff misinformed me of issue which wasn't correct, but besides that would really recommend this service"
"Kept me up to date with any known faults or issues, very friendly staff who were also very helpful"
As every garage owner will tell you, there are some tried and tested ways to cut down on your petrol costs (and consumption) while you’re out and about in Nuneaton or beyond. One is to shut your windows. If you can hear that wind noise in your car it’s costing you more to drive. This is because the car becomes less aerodynamic and has to work harder to motor along. Removing a roof rack will improve your fuel efficiency for the same reason. Another useful tip is to combine short trips into one; each time you drive after your car has been parked for a while the engine will be cold and need to use a lot more fuel for the first 5 miles or so. If you do one trip from school drop-off to supermarket to office you’ll use far less fuel than if you do all those trips individually.